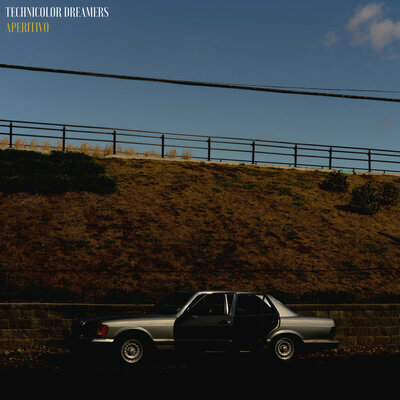 The Italian word for appetizer, Aperitivo is a 5-track debut EP from Montreal rock band Technicolor Dreamers. The length of the EP, clocking in at 20 minutes, forces the group to put their best work forward with high-quality production, dance-worthy instrumentals and catchy vocals from lead singer Alex Sciola. At times, their tracks sound as if they took inspiration from the Smiths or early Kings of Leon–high compliments for the first project of any up-and-coming group. The opening song, “What If We Could Dance?,” sets the precedent for the rest of the EP, although the latter tracks evolve from softer, slower vibes to heavier rock ‘n’ roll. The heaviest is “No Time For Trouble (Live Version),” which mimics a live recording without taking a hit to sound quality. If Aperitivo is supposed to be an appetizer for what is to come, we look forward to seeing what Technicolor Dreamers have prepared for the piate principale.